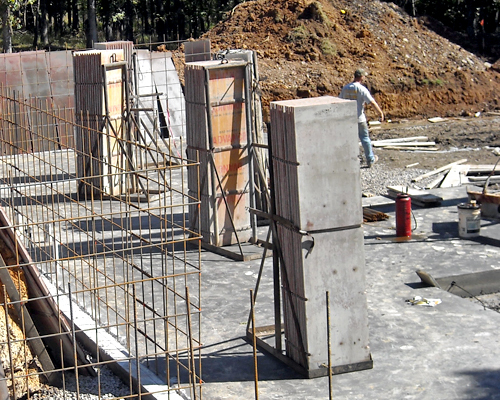 Poured walls can be constructed more quickly, saving time and money. It can take 2-3 partial days of work. 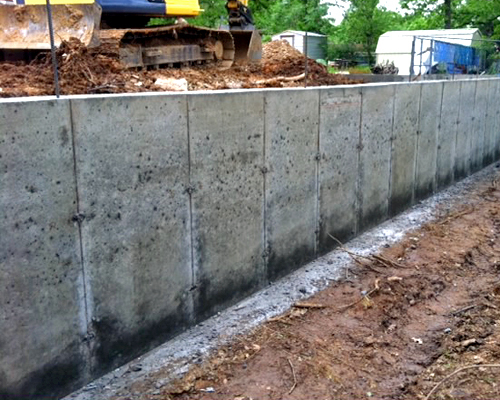 They are usually 6-1O inches thick and joint-free, so they are considered stronger and drier foundation walls. Provide more flexible floor walls. Blocks can look unsightly if they are not applied with a thin layer of mortar on the outside, like stucco. If not filled with concrete and rebar they can be weak structurally & limited insulation. Proper footing and a perimeter drain is required. Since there are seams with block foundations, they are more susceptible to water leakage.